As we have seen in the recent debacle at LA Unified School district, there can be great peril to going down the path of district-wide technology solutions. With large scale purchasing, there is an “Education-Industrial Complex.” Instead of students and teachers driving the technology innovation process, big corporations create the need and the solutions in order to garner the huge profits of district-wide acquisitions. Districts feel justified by the known quantity of the large company, by the flashy sales pitch, and by the sense that they are solving a problem, making an impact. While the application of legacy systems across a large swath of schools may give districts a great showpiece, it goes against the fluid, always-evolving nature of education technology. It is comforting to believe that there is a product or system that will be relevant to all students for a five or ten year timeframe, but this is simply not the way technology evolves. Imagine your phone, your computer, your car even, if it was relying on the same technology available 10 years ago. Worse yet, our students are at the forefront of adopting “what’s next”. In fact, they are the disruptors driving continual technology change. Charter schools often offer the ability to adapt more readily. Technology can be adopted school by school, even classroom by classroom, instead of massive district wide purchases. This means that some roll-outs will fail, some systems will not work in the classroom, but it also means that some applications will take off. Take my school, The Met Sacramento. We are a 300 student dependent charter based on the principals of Big Picture Learning. Central to our school is the small size, advisories, and learning through internships - our students are expected to be out of the building learning in the real world two days a week, freshmen to senior year. Starting eight years ago, The Met Sac realized the need to break away from the PC and MS Office confines of the district IT. Because of budget cuts, the district was not able to provide us the basic IT support to maintain the devices. Adding to this push was the need for solutions adapted to our school. We needed our students to be able to learn and create evidence of their learning wherever they were, no matter what device they were on. We needed students, mentors and advisors to be able to collaborate in real time, outside of the classroom. We needed tools that streamlined communication. And most importantly, we needed tools that kept students engaged, tools they felts empowered to use. Tools that allowed them to communicate the way that they interacted with the world. So instead of MS Office, we were early adopters of Google Apps for Education. 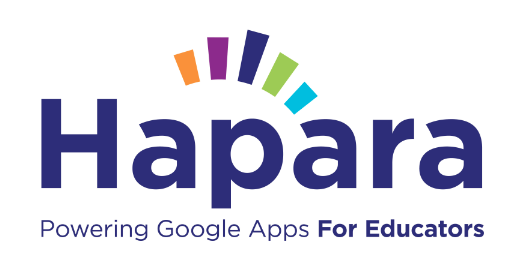 The ability to collaborate in real time, to access content regardless of the device and to customize the applications through scripting has made Google Apps an absolute necessity at our school. Whether it is collaborating on documents, creating and publishing live budgeting for full transparency, building rich and dynamic electronic portfolios, managing a complex database of internships or automated office communications for visitors and early dismissals, GAFE does it all. We also eschewed the districts LMS for an upstart called Schoology. We were compelled by this companies viral marketing (they give it away for free to teachers and schools), but most importantly we loved its feel. Schoology has at it’s core the web2.0 emphasis on collaboration. It has the look of Facebook, and enables students to share content, have vibrant discussions and debates online, app integration, and all of it around academic content in a secure school environment. From these two core tools, innovation happens classroom by classroom at The Met Sac. One teacher might use Doceri to be able to record lectures on his iPad. Others use Camtasia for flipped learning. Many teachers love Remind for it’s ability to quickly communicate with a whole class via text. Some teachers use EduCanon to build interactive content on top of youtube videos. One uses Lecture Tools to create interactive presentations for larger classes. The list goes on. And our school site uses Hapara to keep track of it all in real time. It is worth noting that for almost eight years we have not had a single student computer that runs a hard drive based application. All of our education technology is in the cloud. Of course, with this innovation comes the risk that something will fail. Our school has paid for many services that have not taken hold or not delivered what was promised. But, at the end of the day, that is how our students interact with technology. They try, the cast off, they try again. This is the paradigm that continues to nurture the creative economy that is now essential to our place in the world. If we want out students to innovate and embrace failure then we may need to model that to them classroom by classroom.